After a half century of helping Americans better understand international events by providing authoritative translations of foreign news, the U.S. government's World News Connection (WNC) remains off limits to the public despite appeals from more than a dozen U.S. professional societies and public interest groups. Director of National Intelligence James Clapper has refused to reverse his decision to shut down public access to the service at the end of last year although the reasoning for his action remains unclear. The WNC had provided a valuable trove of information for American scholars, journalists, writers and historians. It was one of the few offices in the U.S. Intelligence Community (IC) that regularly shared information with the people. The absence of this foreign news and overseas media perspectives will result in the further "dumbing-down" of the already-dismal quality of U.S. news reporting on international issues; the weakening of the U.S. public's understanding of world events; and the undercutting of informed scholarly debate and analysis of global events and their implications for U.S. policy. 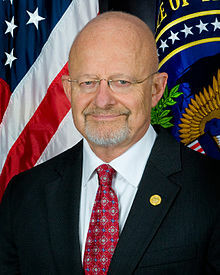 Ironically, General Clapper's decision may inflict the most harm on the Intelligence Community itself, by sharply lowering the caliber of expert analysis and insights available to U.S. intelligence, the coterie of "outside experts" -- think tank researchers, political scientists, bloggers, academics, area experts, historians and others -- which regularly interact with senior U.S. government analysts, sharing their views and insights at IC-sponsored conferences, seminars and colloquia. 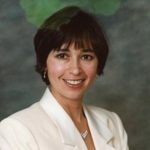 These exchanges between the IC and academics constitute an essential element in the development of U.S. intelligence analysis and have been ramped up over the past 25 years as part of an effort to avoid the disastrous "groupthink" which led to embarrassing intelligence shortcomings such as the CIA's failure to predict the 1989 fall of the Berlin Wall and the collapse of the Soviet Union; and the bogus intelligence reports of Iraqi WMDs that were used as pretexts for the disastrous U.S. invasion of Iraq in 2003. While a small subset of these academic experts will likely retain some level of access to the open-source feed of foreign media translations and analysis, their "insider" status as users of U.S. government-controlled information could unwittingly skew their work through a desire to retain access. Such circumstances may raise the likelihood that the very groupthink the IC wishes to prevent could unwittingly surface among those accorded information privileges. Meanwhile, others would be left outside the information loop, creating an unbalanced information hierarchy that could discourage alternate and unconventional views and analysis and increasing the possibility of future intelligence failures. In an article on Jan. 16, Steve Aftergood, director of the Federation of American Scientists (FAS) Project on Government Secrecy, cited a 1992 speech by J. Niles Riddel, a former Open Source Center director (then known as the Foreign Broadcast Information Service, or FBIS), who stated that public consumers of OSC products contributed to "expanded participation in informed analysis of issues significant to U.S. policy interests." Riddel said intelligence agencies "value[d] the work of private sector scholars and analysts who avail themselves of our material and contribute significantly to the national debate on contemporary issues such as economic competitiveness." Aftergood also cited a January report by the Senate Select Committee on Intelligence (SSCI) on the need for the United States to expand its collection and analysis of open-source information. But Aftergood noted that the SSCI's recommendation "comes just as the CIA has terminated public and scholarly access to its open source collection of foreign news reports." The SSCI report stated that the Intelligence Community "must place a greater emphasis on collecting intelligence and open-source information, including extremist-affiliated social media, to improve its ability to provide tactical warnings, especially in North Africa, the Middle East, and other areas where the U.S. has facilities under high threat." The report added, "The IC should expand its capabilities to conduct analysis of open source information including extremist-affiliated social media particularly in areas where it is hard to develop human intelligence or there has been recent political upheaval." Those goals would be advanced if General Clapper reverses his decision and again grants public access to the World News Connection.